Are you looking for a central government posting? Do you have the interest to work in the railway sector? 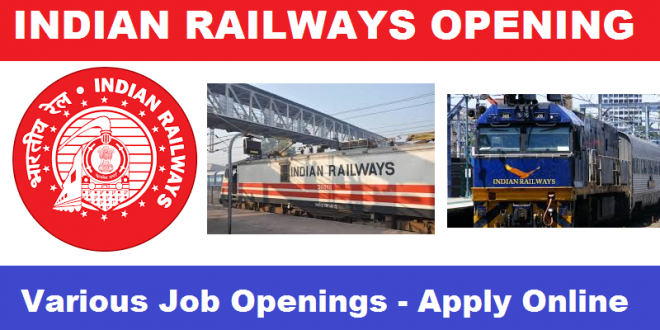 The Central government has provided you a great opportunity to work in the Railway sector. It has announced its recruitment for filling the vacancies of 03 posts in the post of Senior Residents. You just go through the Central Railway Recruitment 2019 for knowing more details. If you are a person with the age limit of 33 years, must holding a post Graduate qualification and if you are 35 years of age means, you must have the post-Doctoral holders. The interested candidate supposed to bring all original documents, along with the attested photocopy, while going for an interview. Based on the provisional basis, if the indicated candidates are not available for the Senior Residents posts, it should be filled with the other community people. This Central Railway will be going to conducting it as a “Walk in Interview” on 22.04.2019 in Mumbai. Before going to apply, you need to check the eligibility criteria, are limit, application fee, selection process, etc. this will be a great chance for the candidates who are seeking the central Railway jobs, Mumbai in Medical Department. Institutions like AIIMS had extended the relax age of 33 years to 40 years. The age limit is extended only due to the shortage of candidates. This should be approved by the General Manager. Step 2: The latest News and recruitment process are mentioned in the Home Screen. Step 3: initially, you have to read the instructions. If the eligibility criteria and age limit are suits for you means, you have to precede the further process with the given information. Step 4: you have to search for the link of download the Online Application for the post of Senior Residents 2019. Step 5: Click the download options for downloading the Application form. Step 6: Fill the required details in the application form as per the official notification’s instructions. Step 7: Finally, you have to upload the application form along with a photocopy of all original certificates of age, qualification, work experience, address proof and caste. Step 8: you have to submit your application on 22.04.2019, in between 9:00 AM to 10:30 AM.